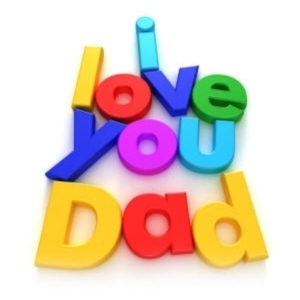 Father’s Day is just around the corner, so take the day to show your dad how much he really means to you with a special gift he’ll cherish forever! It does not matter if your budget is tiny or tremendous, we have you covered on a couple of gifts your dad won’t be able to say “no” to! 1. It’s a classic gift that you can’t go wrong with….a tie! Ties come in a huge range of colors, cuts, prints and designs, so be sure to pick one that really reflects your dad’s style and personality! Looking for a bit of inspiration? We think this Cherokee Suiting Stripe Tie is pretty awesome. Not only is this tie made of high-class materials, it also comes on a neat-and-tidy college budget (yes, this present cashes in at under $10….can we get a round of applause?). This gift is a fabulous find because it is a nice tie at a wonderful price! 2. Give your dad his dream breakfast in bed this Sunday, complete with delicious pastries, fresh fruit and incredible coffee served in a cute Father’s Day mug! 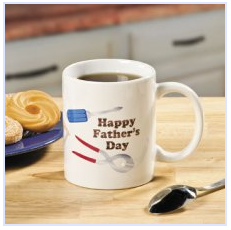 We love Terry’s Village’s Happy Father’s Day Coffee Mug for just $10! A mug is the perfect way to show your father you care on his special day. 3. Not exactly sure what your dad is pining for this Father’s Day? You can’t go wrong with a gift card to his favorite store! It doesn't matter if your dad is into sports, cooking, music, electronics, clothes, books... a gift card gives him the freedom to choose what he really wants! Give him the gift card with a gorgeous note telling him how much you really love him! 4. 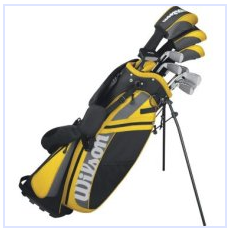 If you are really ready to splurge this Father’s Day, you can’t give a better gift to the “sporty dad” than Wilson Men’s Ultra Complete Golf Club Set available at Sport Chalet for $199.99. Don’t panic at the major price tag….this is the kind of gift that you might want to team up with your siblings on. After splitting the cost of the clubs, you will all get to see your dad’s face shine as he unwraps the premium golf clubs he’s been yearning for for years! From a tie to a mug to gift cards to gold clubs, your dad will love what you do for him this Father’s Day no matter what! Which of these gift ideas is your favorite? Leave a comment below. Have any other amazing gift ideas for Dad this Father’s Day? We want to hear all about them!